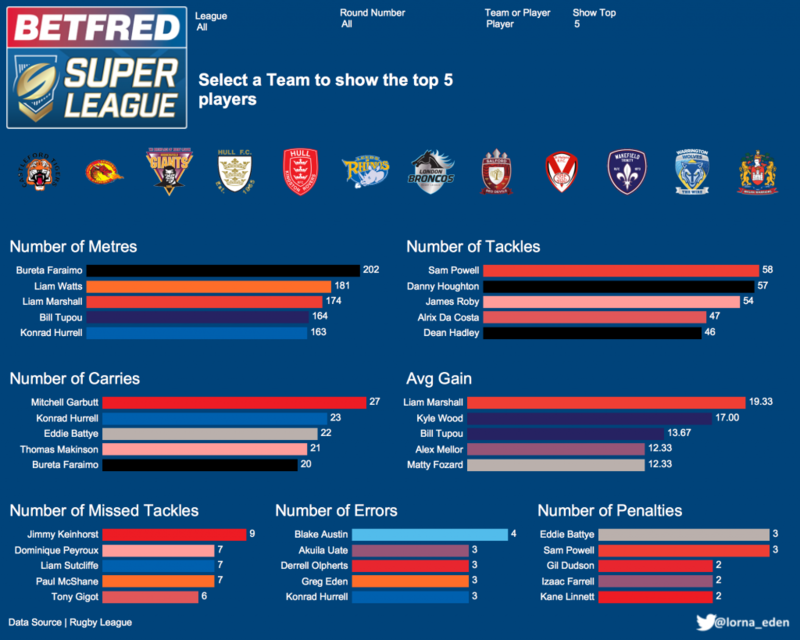 Salford and Warrington kick off the super league by starting at the top of the league. 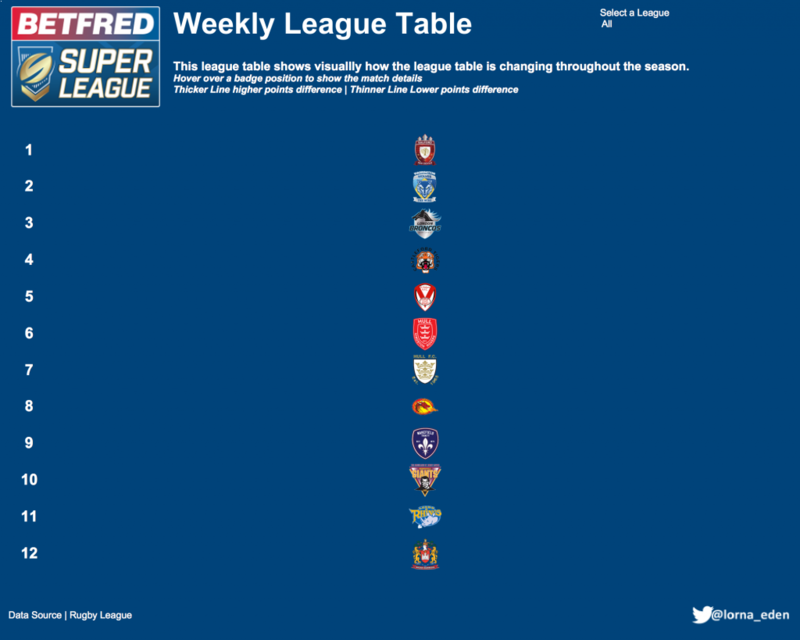 Wigan start at the bottom after a loss against St.Helens and getting deducted two points. If we take a look at the Top players for the positives and negatives of the game. 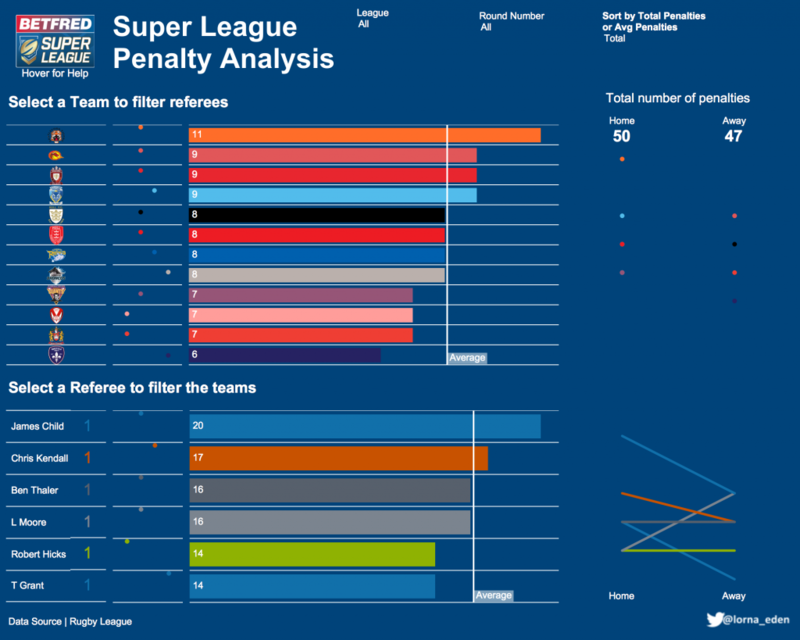 Castleford gave away the most amount of penalties, with 11. Whereas Wakefield only gave away six. This year, there is the option to take a look at two different metrics and compare them against each other. 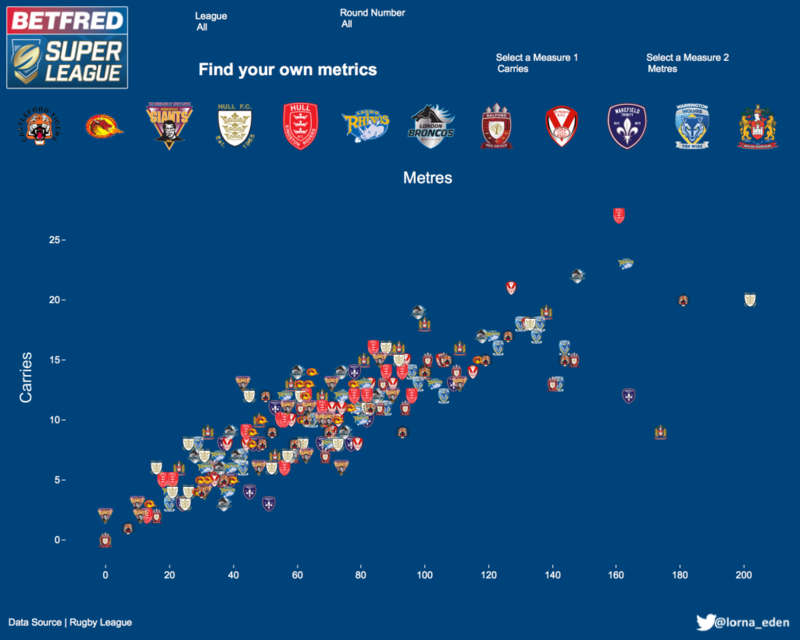 This current view shows Metres made by number of carries. Use the team filter to show your own team. And finally we take a look at attendance. 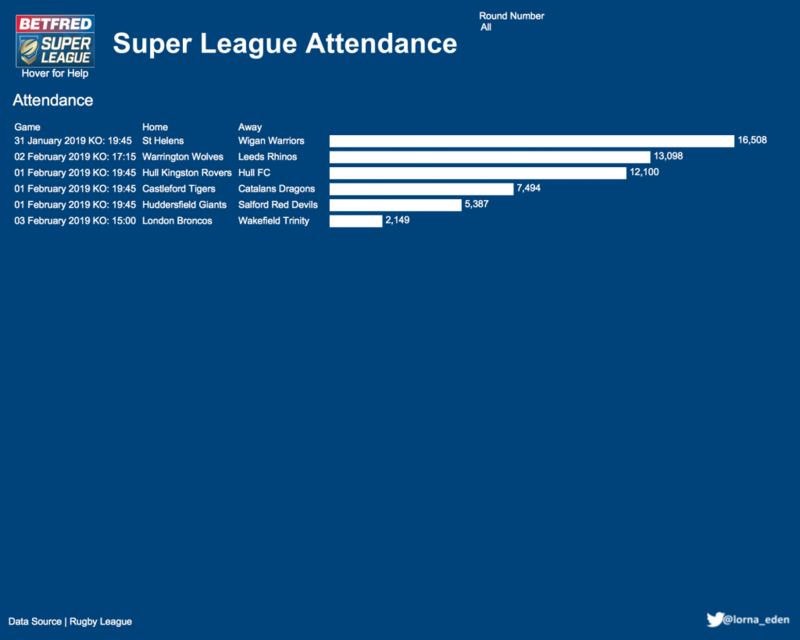 St. Helens v Wigan had the highest amount of attendance.